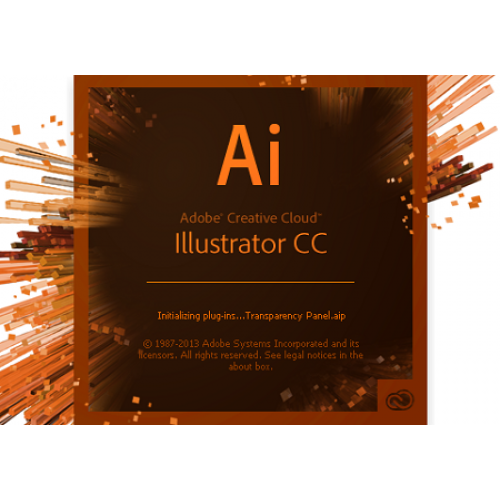 Assets in Creative Cloud Libraries can now be linked so that when a change is made to an asset, you and your team members have the option of updating it across any Illustrator, Photoshop or InDesign projects where it’s used. The new Adobe Stock marketplace lets you find, license and manage royalty-free images and vectors from within Illustrator CC. Select from 40 million assets, save your selection to your Creative Cloud Libraries and then drag it into your project to use. Thanks to a Mercury Performance System boost, you can pan, zoom and scroll more than 10 times faster and more smoothly without slow, stepped changes. Zoom into your artwork up to 64,000% (up from 6400%) so you can create and edit with greater precision. Recover your work if Illustrator crashes and you’ve forgotten to save. Just relaunch and your file will be restored. Illustrator gives you the option of quickly diagnosing what caused the crash, such as a corrupt font or out-of-date driver or missing plug-in. Create layouts for print, web or mobile on your iPad. Pull creative assets into Comp from your or your team’s shared Creative Cloud Libraries, and then instantly send your layouts to Illustrator. All your text, images and graphics are live and fully editable. Scale Photoshop Sketch drawings up to four times their original size with no loss in quality. Also includes: New freeform merge/subtract mode for the Shapebuilder tool, Curvature tool updates for more flexible drawing, multiple enhancements to the Touch Workspace, and much more.